Driver Power State Failure Error in Windows 10 is a very common type of BSOD error. Blue Screen errors in Windows 10 are notoriously known to scare the hell out of users. But, unlike other BSOD errors in Windows 10, this error is comparatively easy to fix. Before we go ahead and look at the methods to fix Driver Power State Failure error, let us take a look at reasons that may be causing it. When your computer or any of the installed device drivers slip into Sleep Mode when you are already using your computer, Windows sends that driver a wake signal when its need arises. And, if the driver does not respond to the wake signal in time or does not respond at all, Driver Power State Failure error in Windows 10 occurs. This usually happens because of unfavorable Power Settings or because of a faulty device driver installed on your PC. Now that you know the reasons, let us proceed with the methods. Step 1: Press Windows + R keys, one at a time on your keyboard to open the Run box. In the Run box, type “Control Panel” and press Enter key. This will open your computer’s Comtrol Panel. Step 2: In the Control Panel, look for View by drop-down at the top right corner. Click on the drop-down list and select the Small icons option. From the options that appear, select the Power Options. 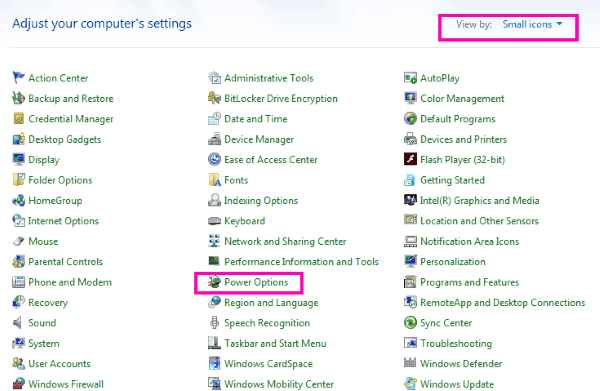 Step 3: From the new options that appear, see if the Power saver option is selected. If not, select the Balanced option. 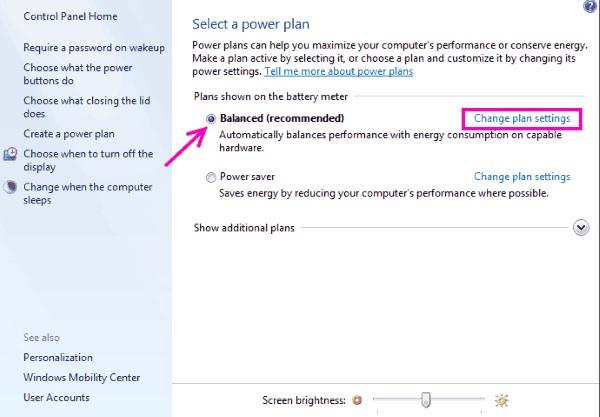 After doing so, from the right side of the Balanced option, click on Change plan settings option. 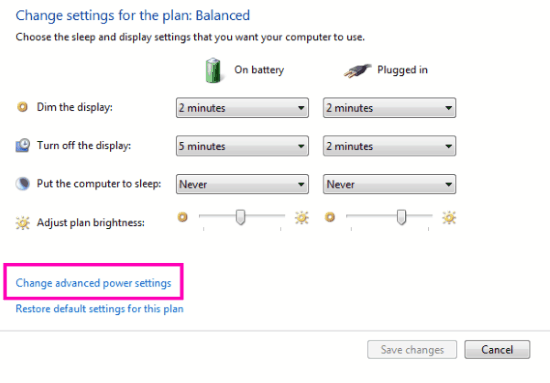 Step 4: Here, select the Change advanced power settings option. Step 5: In the Advanced Settings window, look for Wireless Adapter Settings, then click on it to expand. 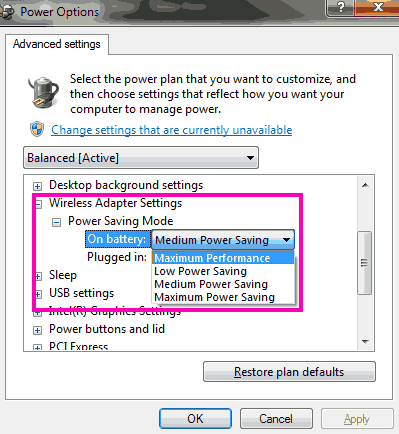 Then expand Power Saving Mode, and from the Settings drop-down option that appears, select Maximum Performance. Step 6: In the same window, look for PCI Express and expand it. 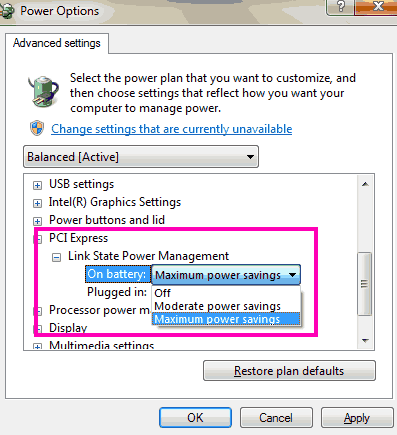 Under it, expand the Link State Power Management option and from its Setting drop-down, select Maximum Power savings option. When done, click Ok to apply the settings. Now, restart your computer and see if you get this error again. If the Driver Power State Failure Error persists, try the next method. Step 1: Open Device Manager. To do so, press Windows + X keys simultaneously. 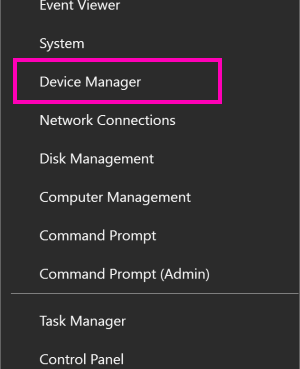 Now a list will appear; click on Device Manager option to open it. Step 2: In the Device Manager window, you will see a list of drivers. Look for drivers with yellow exclamation marks. If you do not find any, skip to Method 3. If you find any driver with error, right click on it, and from the right-click menu, click on Uninstall Driver option. Do this with all the drivers with any error. When done, exit the Device Manager. 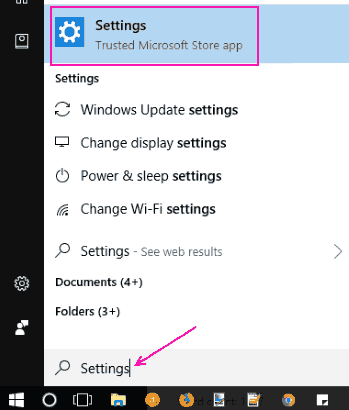 Step 3: Now, open the Start menu, and in the Start menu search bar, type Settings. Click on the Settings option that appears in the search result. Step 4: From the Settings window, click on Update and Security option. Step 5: This will open the Update & Security window. 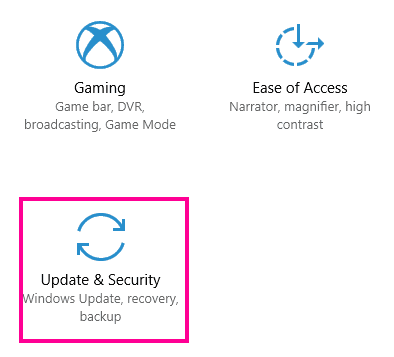 Here, go to Windows Update section, where you will get Check For Updates option; click on it. 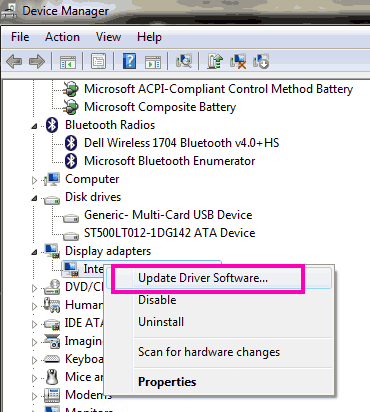 This will look for Windows updates and missing drivers, then follow the on-screen instructions to complete the update. When the update is complete, your PC will restart. After the restart, see if the Driver Power State Failure issue continues to bug you. 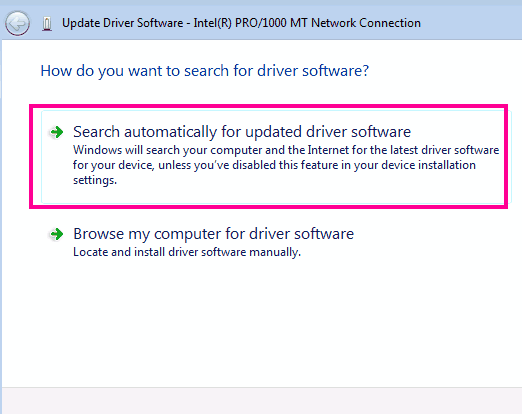 If yes, proceed to Update other drivers on your PC. Step 1: Press Windows + X keys at a time, and from the list that opens, click on Device Manager. 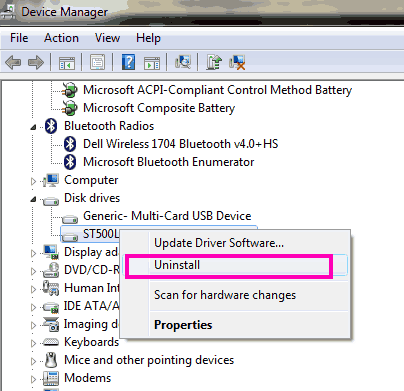 Step 2: In Device Manager, right click on the first driver, and click on the Update Driver Software option. Step 3: A new window will appear. Here, you have to click on Search automatically for updated driver software. 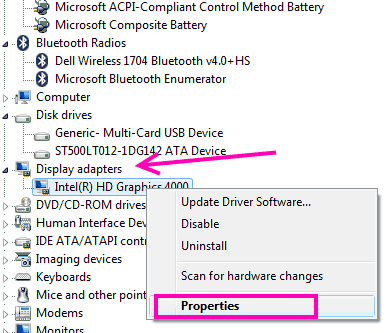 This will look for new versions of existing drivers on your PC. If it says that you have the latest version of the driver installed, go ahead to update the next driver. Else, follow on-screen instructions to complete the installation. Do this for all the drivers. When done, restart your computer and see if the issue is still there. If it didn’t solve the Driver Power State Failure Windows 10 issue, try the next method. Step 1: Press Windows + X keys together, then from the opened list, select the Device Manager option to open it. Step 2: Look for Display Adapters option, then expand it. From the expanded list, right click on your Graphics Driver. From the right-click menu, click on Properties option. 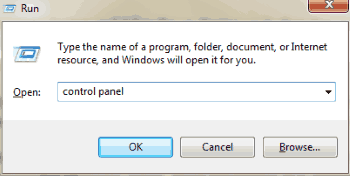 Step 3: In the Properties window that will open, go to Driver tab. In the tab, you will find Roll Back Driver option. Click on it and proceed with the on-screen instructions to roll back your current driver to your previous version. 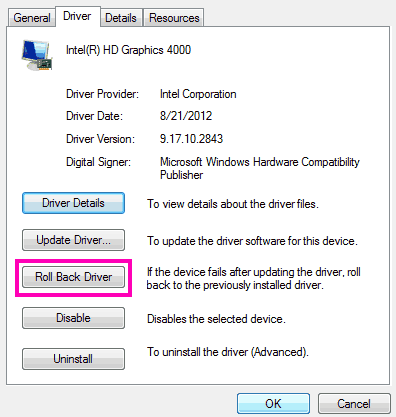 Note: If the Roll Back Driver option is grayed out, it means that your Graphics Card driver has not been updated yet. If this method doesn’t work as well, the next method is for you to try. Step 1: On your keyboard, press the Windows + X keys together. 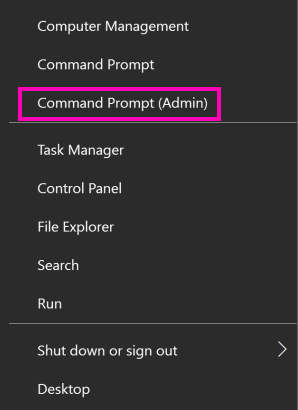 From the menu that opens, click on Command Prompt (Admin) option to run Command Prompt with administrator privileges. Step 2: In the Command Prompt window, type the following commands: sfc /scannow and hit the Enter key. The scan may take some time, around 15 minutes or so to complete. Wait for it to finish and do not interrupt the scan. Once the scan is complete, restart your PC and check if the problem persists. If not, try to run the next scan. Step 1: Open Command Prompt in administrator mode. To do so, press the Windows + X keys together, and from its menu, select the Command Prompt (Admin) option. then press Enter button. Wait for the scan to complete. Step 3: When the scan is complete, type the following next command: DISM.exe /Online /Cleanup-image /Restorehealth and press Enter. When the scan completes, restart your PC and check if your problem was solved or not. If not, try the next step. Some of you might hesitate from taking this step, but if none of the methods mentioned above are helping you, this might. There have been reports of antivirus software causing this issue. And, disabling antivirus solved the issue for some users. The most common name connected with this issue is Avast. So, if you are an Avast antivirus user, this method is a must try. If disabling Antivirus doesn’t solve the issue for you, you should try to completely uninstall it as well. If it does work, try a new antivirus and see if that is interfering with your PC to cause Driver Power State Failure error. If disabling or removing Antivirus doesn’t work, get your antivirus back on and proceed with the next method. Updating BIOS may not be a tedious task to carry out, but it is a critical one. So, before you decide to give BIOS update a try, make sure you know what you are doing. The first step to update BIOS is to find out the current BIOS version, and see if an updated version for your computer is available or not. Before you proceed with this step, make sure that your laptop is fully charged. And if you use a desktop, ensure that it is connected to an uninterrupted power supply. Step 1: Click on the Start button on your computer and type System Information in the start search bar to open it. 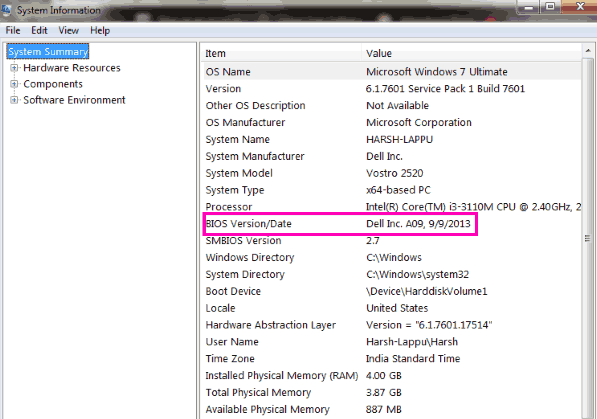 Step 2: In the System Information window that opens, look for BIOS version in the System Summary section. Step 3: Now, go to your PC manufacturer’s website and look for latest BIOS compatible with your PC model number. If the latest BIOS version is similar to that on your computer, skip this step and check the next method. If there is a newer BIOS available, download it. Once downloaded, make sure no antivirus software is running. When ready, run the downloaded BIOS installation file. Before the update, you will find an option to backup the current BIOS; do that before updating BIOS. When done, proceed with the BIOS installation. Once you start the installation, wait for it to finish, as it may take quite some time to install BIOS. This would most probably solve your Driver Power State Failure error in Windows 10. If it doesn’t, the method #9 is your last resort. Step 1: On your Desktop, right click on the This PC icon, and click on Properties from the right-click menu. 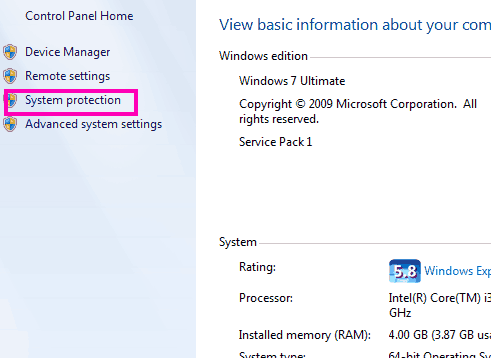 Step 2: In the window that will open, click on the System Protection option on the left panel. Step 3: Another new window will open. 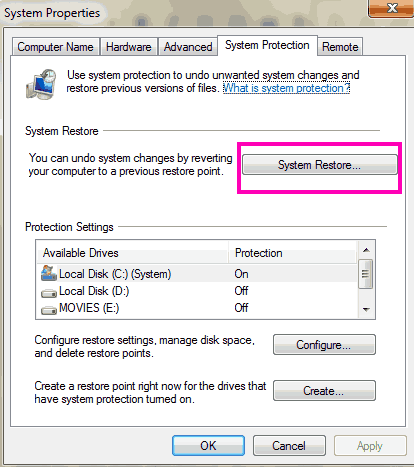 There, click on the System Restore button and select the restore point to which you want to roll back your computer to. Make sure that it’s a date before you started getting the Driver Power State Failure error in Windows 10. Run the restore and wait for System Restore to happen. Note: Doing a System Restore will wipe out all the data that you have saved on your PC after the restore point date. So, make sure that you take a backup of important files on an external drive before restoring PC. The first few steps will most probably fix Driver Power State Failure error for you. But if your PC isn’t fixed by them and you have to try the last few, make sure you know what you are doing. Especially in the case of Method 8 and 9. If need be, take help of a friend who is good with computers. You can also contact your PC manufacturer’s customer care if you are unable to fix the issue.